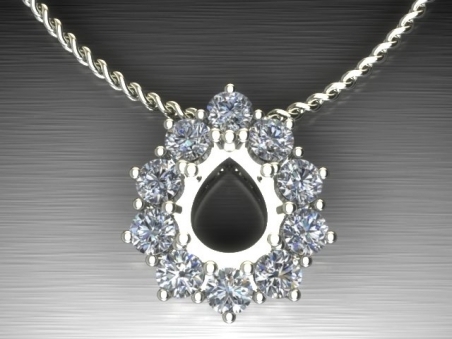 A classic timeless pendant, ideal to enhance any decollete and any gemstone. Top quality brilliant cut diamonds, fixed by wire prongs , surround the main gemstone. Necklace loop - necklace not included in the price but available on request.